In a world filled with crazy colors, superfluous synthetics, and brash brands, there is none more in touch with their “wild side,” than Puma. 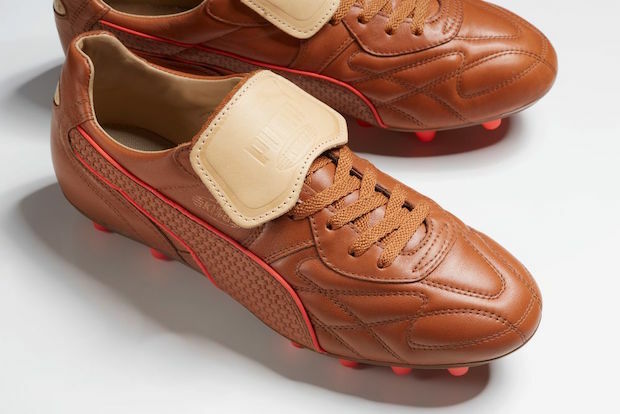 However, it seems that, at least for their latest release, Puma has decided to take a step away from all the modern mayhem that we associate with soccer cleats, and deliver something that boasts quality derived from years gone by. 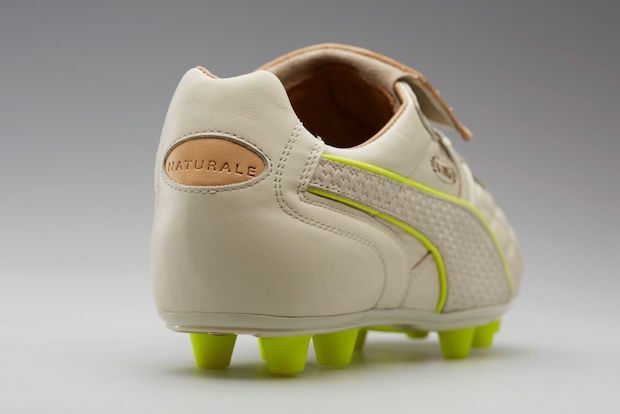 The Naturale Puma King “Made In Italy”: a pair of boots that don’t need any frills associated with modern tech, uppers, or soleplates. It’s “Old School” in the best way possible…I’m afraid we’ll need a dozen or so…for a friend. 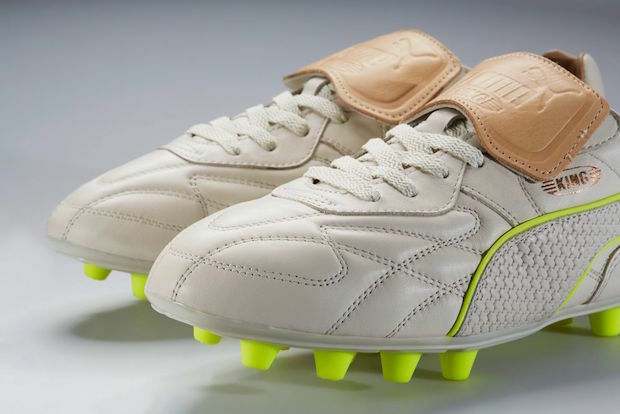 For the two particular sensibilities, Puma has given this boot two fantastic color options. For the purist, a deep, golden brown option with red trim. 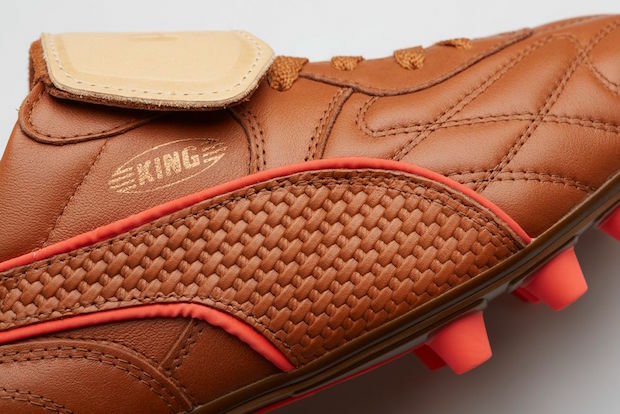 A beautiful boot that absolutely screams about the history that this boot has seen, and something that would look totally perfect sitting on a mantle or getting stuck into a challenge. 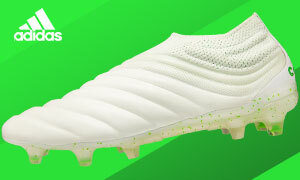 The other colorway is a clean white leather, with neon yellow trimmings. The yellow does hint towards more modern leanings, but it simply allows the boot to glow and bask in its own brilliance. 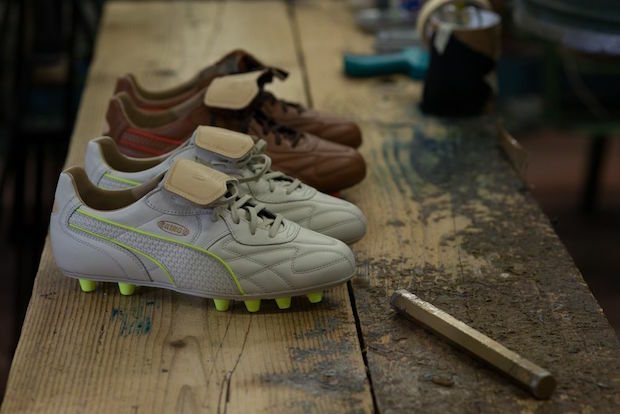 Puma might be the first brand to head towards “weird,” but this collection is pure and simple perfection. We might be heading into brave new worlds with the boots that 2016 has seen, but these boots will never find themselves without an appreciative fan-base. Timeless, and a big win for the big cat. Hurry up and join the land of the kings, before these find themselves stuck in the pages of history.